SALT LAKE CITY, Utah – Everyone needs a boost now and then, and guitarists are no exception, which is why HARMAN’s DigiTech now offers its Strato Boost pedal for the iStomp downloadable stompbox. The Strato Boost is a single-knob clean boost that gives a guitar signal up to an additional 24dB of clean gain, for an instant volume increase or to push the front end of an amp for overdrive. Like all new DigiTech iStomp e-pedals, the Strato Boost will be available at a special introductory price of just 99 cents for its first month of availability. Recognizing that guitarists are ever seeking new sounds, DigiTech will introduce two new iStomp pedals every month. 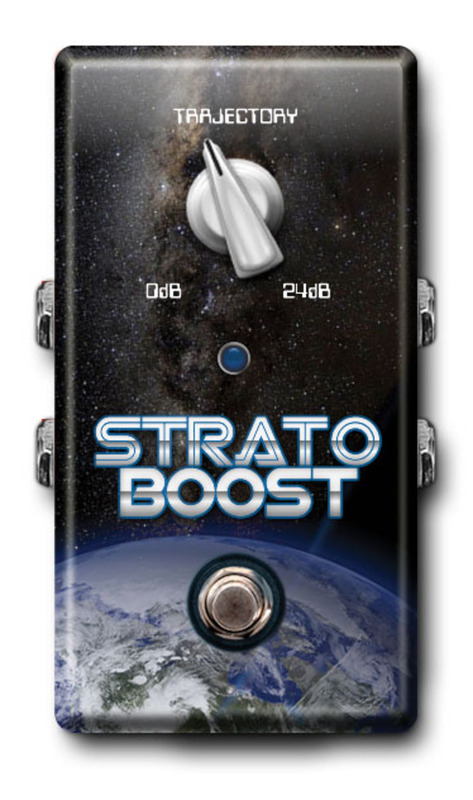 The Strato Boost offers up to 24dB of clean boost via its Trajectory knob. It’s designed to maintain the sonic transparency and distinctive tonal character of whatever guitar it’s used with – unless the player deliberately wants to deliberately overdrive the front end of his or her amp. The DigiTech Strato Boost e-pedal will be available July 1, 2012 at an introductory price of $0.99. This introductory price will run through July 31, 2012. After the introductory period the price will change to $5.99. The DigiTech iStomp is currently available at $179.95 suggested retail. The iStomp already comes pre-loaded with two versatile effects, the Redline™ overdrive and Total Recall™ digital delay.